The current Windows Phone models might not get Windows Phone 8 when that is finally released sometimes later this year, but if you buy a Lumia 900 with the Windows Phone 7.5 today, it still has access to more than 100,000 apps in the Marketplace, including the Nokia exclusive application suite such as Nokia Maps, Nokia Drive, ESPN, Camera Extras and many more. It will get an update to Windows Phone 7.8, and Nokia has indicated it will release updated functions and applications for current models for some time, up to WP8 is released, and beyond. 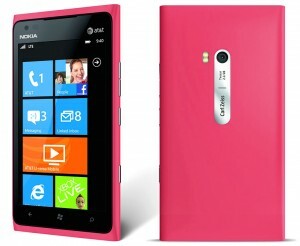 Starting Sunday, July 15th, you can go to your AT&T Store in the US and order the pink Lumia 900 to be delivered via direct fulfillment, or visit ATT.com to pre-order your pink phone.